HAMILTON, ON – Nickel Brook Brewing has announced that three of its core brands are now available at select Beer Store locations throughout Ontario. 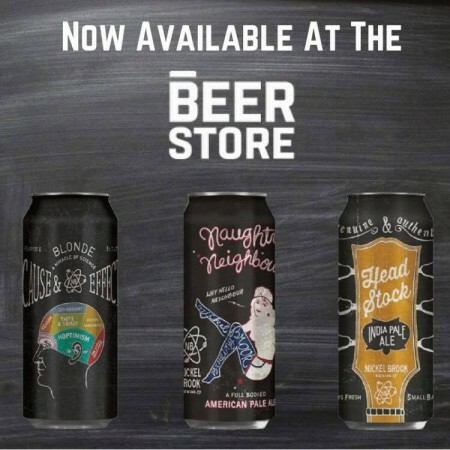 473 ml cans of Naughty Neighbour APA, Headstock IPA, and Cause & Effect Blonde Ale were launched last week at 57 locations of the chain, with distribution focused on self-serve and “Beer Boutique” format stores. For more details on availability, see the product listings on the Beer Store website.